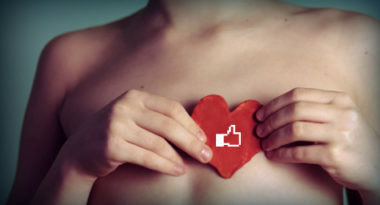 Social media has become the latest tool for social responsibility as shown by the dramatic results of a recent Facebook campaign that delivered a 21-fold increase in the number of online organ donor registrations in its very first day. This outstanding response continued over the two-week campaign, with online donor registrations climbing at twice the average rate. These results were published in the American Journal of Transplantation. Meanwhile, there was no increase in registrations from the DMV. The results of the campaign indicated that Facebook can be an extremely effective tool for boosting organ donor registrations. In this study, Facebook offered a convenient way for users to share their donor status with friends and featured direct links that allowed them to easily make their organ donor status official on states’ department of motor vehicles websites. This successful outcome suggested that the social media network may prove valuable for other public health initiatives that rely on awareness, education, and communication. Futurity.com offered additional details about this lifesaving social media campaign. This Facebook campaign marked a major turning point in the ongoing struggle to secure organ donations. Over the last 20 years, the number of people awaiting organ transplants has increased 10-fold, while the number of donors has remained static. Currently, more than 118,000 people in the U.S. are waiting for kidneys, livers, and other organs. Sadly, thousands of these patients may never receive the organs they desperately need. Even sadder, up to 10,000 people in the U.S. die each year with organs ideal for transplant that cannot be used because they never gave consent. Organs can only be removed from a deceased donor with permission from either the donor before death or the family at the time of death. Fortunately, approximately 100 million Americans have already registered as donors. Detailed analysis of the campaign results revealed that the number of online organ donor registrations varied by state. Interestingly, states that had the lowest donation rates, like New York and Texas, displayed some of the largest increases on the first day. While some had assumed that this great response would drastically decline after the first day, it proved surprisingly strong and was still twice the average rate at the end of the study. The concept for the campaign arose when Dr. Cameron and his former Harvard classmate, Facebook COO Sheryl Sandberg, discussed the organ shortage at their 20th college reunion. Their subsequent conversations led to the idea of having a place in the Facebook timeline for users to share their organ donor status. Use social media to generate good will and great results. Contact MDG Advertising today at 561-338-7797, or visit mdgadvertising.com.